Independence Movement – The Unsung Heroes Who Fought for Independence! Have you heard about a movement that encouraged Asians to stand up for peace and freedom? Nonviolent resistance against Japanese occupation. First nationwide independence movement in a colony after WWI. Japan ruled Korea by force. Under Japanese rule, Koreans were brutally suppressed by the Japanese. It was a time when there was no high-speed train or internet to connect the nation. However, about two million, a tenth of the Korean population, took to the streets to demand national independence. Brutal suppression caused 70,418 casualties, among which 7,509 died and 15,961 were wounded. Officially, 46,948 were arrested and tortured. The March 1st Independence Movement was a nationwide demonstration against Japan. What do you know abut this movement? On February 27, 1919, Bosung Printing Shop in Jongno, Seoul, secretly printed 21,000 copies of an important document. On March 1, 1919, this document was publicly read. At Tapgol Park, Koreans read this document aloud and cheered for Korea’s independence. This declaration with its English translation was spread to the world. Major international news media, including the New York Times (USA), Entente (France), and the Morning Post (UK), reported this news to the world. What message was so important that made Koreans risk their lives? Korea had maintained its independence for five thousand years. Due to Imperial Japan, Korea lost its sovereignty for the first time in its history. Japan exploited Korea’s human and material resources. It also attempted to destroy Korean national identity by damaging our language and culture. To justify its colonial rule, Japan promoted false information that Koreans liked Japanese rule. Japan’s propaganda framed Koreans as inferior and Japanese rule as justifiable. The March 1st Independence Movement exposed this falsity to the world. The world finally learned of Koreans’ strong will for independence. India’s nationalist leader and the first Prime Minister of India. Nehru was imprisoned due to his activities for India’s independence from Great Britain. From a prison, he wrote a letter to his daughter. Despite Japan’s brutal repression, people across the country rose up to demand independence. This movement gave a glimpse of hope to many Asians who were suffering from imperialism. What do you know about the March 1st Independence Movement? The Korean Constitution begins with mentioning this movement. Why does the Korean Constitution give such importance to this movement? Men and women of all ages and classes demanded national independence together. 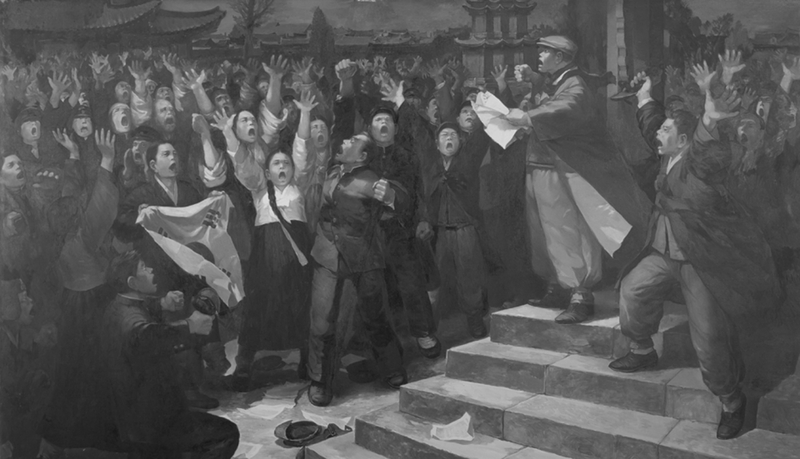 This movement led to the establishment of the Korean Provisional Government in Shanghai. The founders of the provisional government had a vision for their new government. Our new government won’t be governed by a king or an emperor. It should be governed by the people. The March 1st Independence Movement laid the foundation for a democratic government. Eventually, the Korean people achieved this dream. What does the March 1st Independence Movement mean to you? The March 1st Independence Movement was Koreans’ outcry against Japanese imperialism. This movement gave hope to many Asians who were fighting imperialism at the time.The spirits of the two million Koreans, who stood up against Imperial Japan, are still with us. They are asking us today. VANK guides you to the path of our freedom fighters. Together, we will build a sustainable peace in Asia. We encourage you to join our 21st century March 1st Independence Movement. First, spread the Korean Declaration of Independence! VANK provides the full text of the declaration in the original, contemporary Korean, English, French, Spanish, Chinese, and Japanese. Share it on your blog and other SNS channels. Your small action raises public awareness of the March 1st Independence Movement. Second, become a public advocate of our March 1st Independence Movement. The United States Declaration of Independence and the French Declaration of the Rights of the Man and the Citizen are globally known. The Korean Declaration of Independence also deserves global recognition. In 1919, this declaration sparked passion in the hearts of two million people. However, the vision of the declaration has yet to be known to the world. You can see the text of the declaration in multiple languages on our website. All you need to do is copy and share it. Third, promote the March 1st Independence Movement and relevant historic sites. There are many historic sites in Korea and around the world where Korean freedom fighters fought for independence. Check where they are and visit nearby sites. Write about your visits to those sites on your blog and SNS channels. A big change starts at your fingertips. Together, we will build peace in Asia. Let’s build a better future!